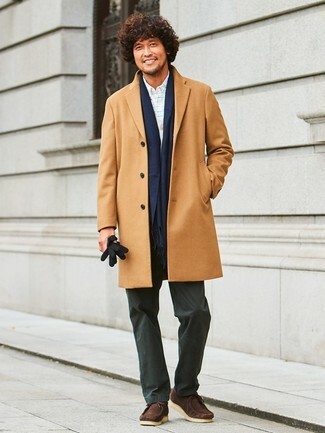 We all want comfort when it comes to dressing up, and this combination of a camel overcoat and a navy scarf is a wonderful example of that. Smarten up your ensemble with dark brown suede boat shoes. 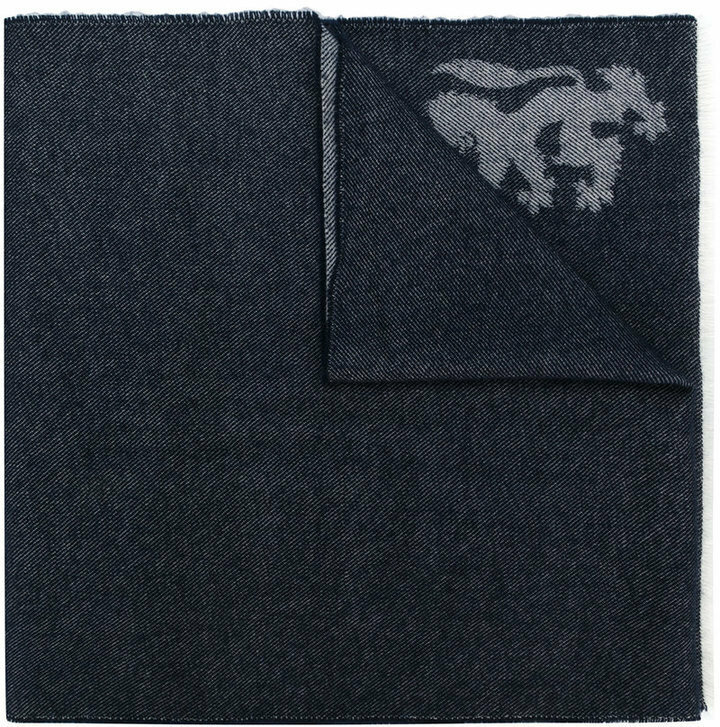 If you're a fan of functionality dressing when it comes to fashion, you'll love this easy pairing of a grey wool blazer and a Pringle of scotland lion scarf from farfetch.com. We're all outfiting for comfort when it comes to dressing up, and this combination of a dark green plaid blazer and a Pringle of scotland lion scarf from farfetch.com is a wonderful example of that. Channel your inner Ryan Gosling and throw in a pair of black leather brogues to class up your getup. 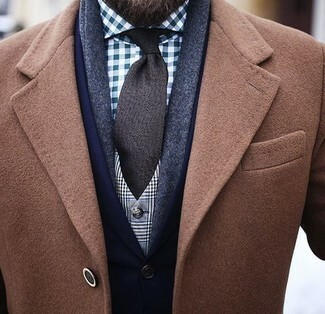 We all ensemble for comfort when it comes to dressing up, and this combination of a camel overcoat and a Pringle of scotland lion scarf is a great illustration of that. 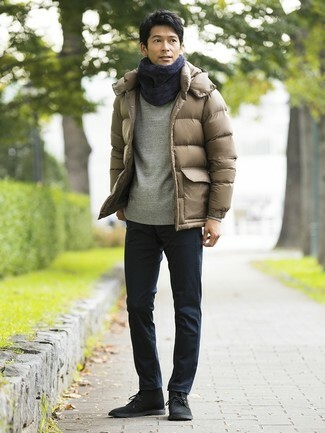 Make a tan puffer jacket and a navy scarf your outfit choice to be both neat and relaxed. You could perhaps get a little creative in the footwear department and elevate your outfit with black suede desert boots. 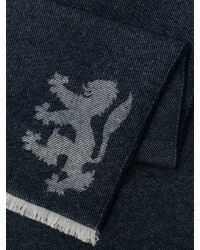 If you're a fan of functionality dressing when it comes to your personal style, you'll love this knockout pairing of a white dress shirt and a Pringle of scotland lion scarf from farfetch.com. Got bored with this getup? 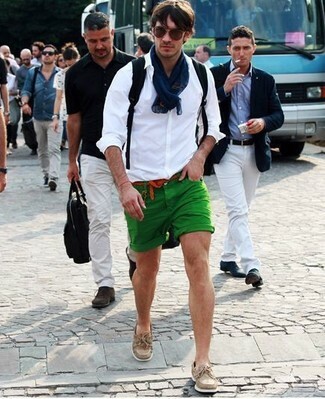 Enter beige suede boat shoes to spice things up. 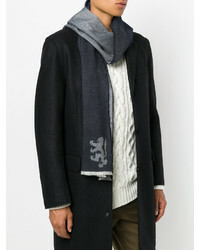 If you prefer relaxed dressing when it comes to your personal style, you'll love this on-trend pairing of a dark brown pea coat and a Pringle of scotland lion scarf from farfetch.com. Rocking a pair of burgundy leather casual boots is an easy way to add some flair to your outfit. 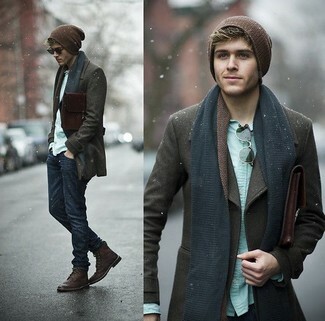 We're all looking for comfort when it comes to dressing up, and this combination of a tan pea coat and a Pringle of scotland lion scarf is a wonderful example of that. Grab a pair of blue suede athletic shoes to make the getup current. 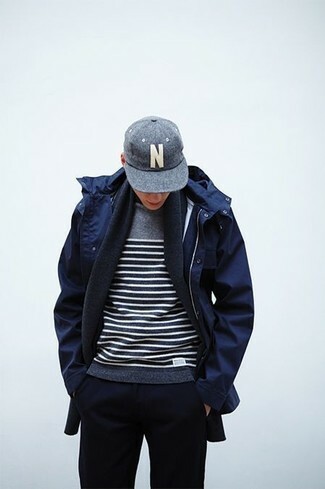 If you're all about relaxed dressing when it comes to fashion, you'll love this easy pairing of a navy parka and a Pringle of scotland lion scarf.